Let's talk workhorse items in your closet. Denim. 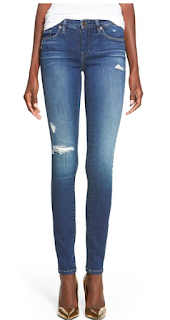 An easy weekend piece that you can dress up or down and the options for wash, fit, and style are endless. Today we're looking at your more casual denim, a little faded, maybe some distressing, but always fitted. 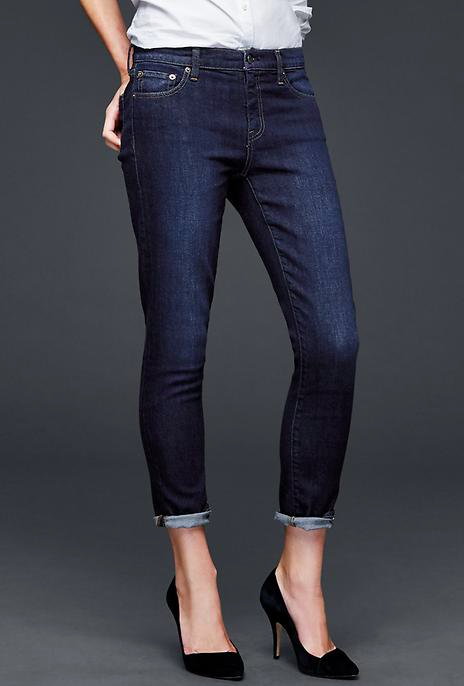 Even a bf jean needs to accentuate your best curves. So let's see what we've got for under $100. How classic. A little roll, a slide fade but an overall dark wash. Just perfect. With more than 50 five star reviews, you really can't question the awesomeness of these jeans. I love Old Navy Rockstar jeans. I've tried the more expensive labels, but I always come back to these. They first beautifully and they're so comfortable. A simple and sleek jeans that you can wear lace up heels or slip on sneakers to dress up or down. A great denim serves multiple purposes. 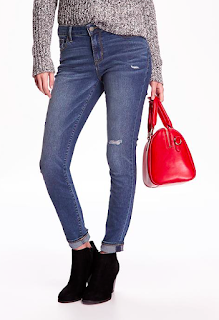 In my closet, I need my jeans to work for daytime and nighttime so I'm always looking for a snug pair of jeans that I can swap out some heels and accessories and go out with my girls.